Education is greatly required for all levels of developmental activities of the country. To educate the rural and urban poor people, VOSD has established a high school in 2002, which is named “Jogirkanda A.K.M. Mostafizur Rahman High School” to provide education facilities to the poor people and improve the educational status at Gogirkanda village of Uzirpur Upazila under Barisal district, where there is no high education facility. The poor children of surrounding villages get the light of education from this school. 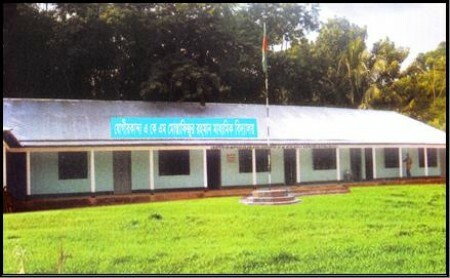 It is a tin shed building where education up to Secondary School Certificate (S.S.C.) is provided and it has been approved by the Government of Bangladesh. About 480 students have been studying in this school increasing and the educational status of the area also increased.